SleepTight will occasionally offer coupon codes, however, currently, there are not any traditional discounts available. They do however have a promo where you can try the mouthpiece for just $9.95. You pay the small amount upfront and have the snoring mouthpiece shipped to you for a trial. If you like it, you keep it and you end up paying the full amount ($59.95), which is a very reasonable price for a snoring mouthpiece in general. If you don’t like it, you just return it and you are not charged any additional fees. So worst case scenario, you’re out $10. Overall I liked the SleepTight mouthpiece, as I mentioned in my SleepTight review. This promo that they have going in place of a coupon is very interesting as well, and in my opinion shows that they really believe in the product – either that, or they believe in the laziness of people! Let me know if you come across any other discount coupon codes or special promo offers and I will share with my readers. 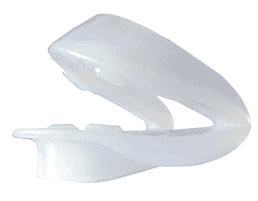 Make sure to check out my snoring mouthpiece reviews as well!